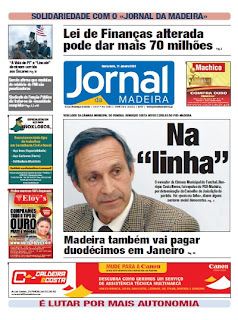 Jardim has begun proceedings to expel Costa Neves, PSD City Councillor for Funchal, from his party (the news made front page of the Jornal, above). 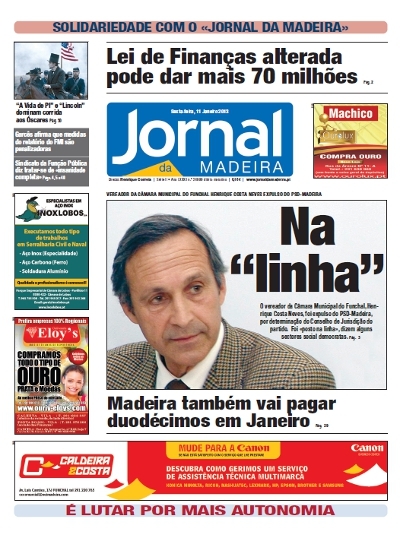 Costa Neves was outspoken in his criticism of the way the Regional Government is handling the reconstruction process following the February 2010 disaster. He also openly backed Albuquerque in his bid for party leadership. Similar proceedings were also started against another Albuquerque follower, André Correira, for alledgedly playing pool with militants of the Christian Democrat Party.